Other Names*: Mary Corbit. Mary Corbit Warner, Mary Cowgill Warner, Mary Warner. Note*: • She attended Westtown Boarding School in Westtown, Pennsylvania and Vassar College. • Her Find A Grave memorial, which includes her biography and pictures of her tombstone, is here. • A web page for the historic Wilson-Warner House in Odessa, Delaware, which she is credited with having saved, is here. [S1] Ruth Bennett, Naudain Family of Delaware (Geneva, Neb. : n.pub., 1941), p. 63 (naming David Corbit as her father). This material is a typescript of "notes" in Ms. Bennett's possession and apparently was originally written and compiled by James W. Lattomus. Copies are with the D.A.R. Library, Washington, D.C., and Roger Bartlett, Austin, Tex., and can be viewed at http://www.rabgenealogy.com/ui53.htm. The notes contain some inconsistencies, and page 45 was missing from the D.A.R. Library copy when it was copied. [S1] Ruth Bennett, Naudain Family of Delaware, above, p. 63 (naming Mary Wilson as her mother). [S1404] "Daniel Corbit Bible," above (naming Mary Wilson as her mother). [S961] Find A Grave, online at http://www.findagrave.com, memorial for Mary Cowgill Corbit Warner, memorial no. 79921780, viewed on 26 Jan 2018. [S1404] "Daniel Corbit Bible," above (stating that she was born at about 3:00 a.m.). [S1] Ruth Bennett, Naudain Family of Delaware, above, p. 63 (not giving the date). [S961] Find A Grave, online, above, memorial for Mary Cowgill Corbit Warner, memorial no. 79921780, viewed on 26 Jan 2018 (first bullet). [S961] Find A Grave, online, above, memorial for Mary Cowgill Corbit Warner, memorial no. 79921780, viewed on 26 Jan 2018 (second bullet). [S1404] "Daniel Corbit Bible," above (naming Mary C. Warner as his mother). • His Find A Grave memorial, which includes a biography and a picture of his tombstone, is here. [S1404] "Daniel Corbit Bible," typescript included in "Historical Society of Pennsylvania Family Collection, vol. 0116," online at http://www.familysearch.org (naming Edward T. Warner as his father). [S1404] "Daniel Corbit Bible," above (naming Williamina Y. Warner as his mother). [S961] Find A Grave, online at http://www.findagrave.com, memorial for Edward Tatnall Warner, memorial no. 105392158, viewed on 26 Jan 2018. [S1] Ruth Bennett, Naudain Family of Delaware (Geneva, Neb. : n.pub., 1941), p. 63 (not giving the date). This material is a typescript of "notes" in Ms. Bennett's possession and apparently was originally written and compiled by James W. Lattomus. Copies are with the D.A.R. Library, Washington, D.C., and Roger Bartlett, Austin, Tex., and can be viewed at http://www.rabgenealogy.com/ui53.htm. The notes contain some inconsistencies, and page 45 was missing from the D.A.R. Library copy when it was copied. [S1] Ruth Bennett, Naudain Family of Delaware, above, p. 63. [S1404] "Daniel Corbit Bible," above (naming Edward Tatnall Warner as his father). Note*: They were from Kent County, Delaware. [S1] Ruth Bennett, Naudain Family of Delaware (Geneva, Neb. : n.pub., 1941), p. 63. This material is a typescript of "notes" in Ms. Bennett's possession and apparently was originally written and compiled by James W. Lattomus. Copies are with the D.A.R. Library, Washington, D.C., and Roger Bartlett, Austin, Tex., and can be viewed at http://www.rabgenealogy.com/ui53.htm. The notes contain some inconsistencies, and page 45 was missing from the D.A.R. Library copy when it was copied. [S1340] The Morning News, Wilmington, Del., online at http://www.newspapers.com, 29 Apr 1907, p. 3, col. 3 (obituary of John C. Corbit) (naming Alexander Peterson as her father). [S1404] "Daniel Corbit Bible," typescript included in "Historical Society of Pennsylvania Family Collection, vol. 0116," online at http://www.familysearch.org (naming Alexander Peterson as her father). Marriage*: She married Alexander Peterson. [S1404] "Daniel Corbit Bible," typescript included in "Historical Society of Pennsylvania Family Collection, vol. 0116," online at http://www.familysearch.org (naming Ann Peterson as her mother). [S1404] "Daniel Corbit Bible," typescript included in "Historical Society of Pennsylvania Family Collection, vol. 0116," online at http://www.familysearch.org (naming John Corbit as his father). [S961] Find A Grave, online at http://www.findagrave.com, memorial for Alexander Peterson Corbit, memorial no. 79920586, viewed on 28 Jan 2018 (naming John Corbit as his father). [S1404] "Daniel Corbit Bible," above (naming Emily Corbit as his mother). [S1337] The Evening Journal, Wilmington, Del., above, 19 Feb 1923, pp. 1, 13 (obituary of Brig. Gen. A. P. Corbit) (naming Emily Peterson Corbit as his mother). [S961] Find A Grave, online, above, memorial for Alexander Peterson Corbit, memorial no. 79920586, viewed on 28 Jan 2018 (naming Emily Peterson Corbit as his mother). [S1337] The Evening Journal, Wilmington, Del., above, 19 Feb 1923, pp. 1, 13 (obituary of Brig. Gen. A. P. Corbit) (stating that he was born in Odessa, Delaware in February 1861). [S961] Find A Grave, online, above, memorial for Alexander Peterson Corbit, memorial no. 79920586, viewed on 28 Jan 2018 (giving the date but not the place). [S1337] The Evening Journal, Wilmington, Del., above, 19 Feb 1923, pp. 1, 13 (obituary of Brig. Gen. A. P. Corbit). [S961] Find A Grave, online, above, memorial for Alexander Peterson Corbit, memorial no. 79920586, viewed on 28 Jan 2018 (not giving the date). [S1404] "Daniel Corbit Bible," typescript included in "Historical Society of Pennsylvania Family Collection, vol. 0116," online at http://www.familysearch.org (naming John C. Corbit as his father). Marriage*: He married Anna Gibson. [S1404] "Daniel Corbit Bible," above (naming Emily P. Corbit as his mother). Marriage*: She married John Cowgill Corbit Jr., son of John Cowgill Corbit and Emily P. Peterson. Note*: She was from Odessa, Delaware. Note*: • She owned "Huguenot Farm," the old Naudain homestead near Taylor's Bridge, Delaware. • She was a founding memberof the Junior League of Delaware and a lifelong resident of Delaware. • She was educated at home until attending Miss Porter's School, in Farmington, Connecticut, from which she graduated in 1918. • A Wikipedia article about Miss Porter's School is here. [S1083] James Henry Lea and George Henry Lea, The Ancestry and Posterity of John Lea of Christian Malford, Wiltshire, England, and of Pennsylvania in America, 1503-1906 (Philadelphia, Penn. : Lea Bros. & Co., 1906), p. 127 (naming Preston Lea as her father). [S1379] The News Journal, Wilmington, Del., above, 24 Jun 1989, p. 9, cols. 1-2 (obituary for Louise Lee Nowland) (naming Mrs. Eliza Naudain Lea as her mother). [S1379] The News Journal, Wilmington, Del., above, 24 Jun 1989, p. 9, cols. 1-2. [S1] Ruth Bennett, Naudain Family of Delaware (Geneva, Neb. : n.pub., 1941), p. 64. This material is a typescript of "notes" in Ms. Bennett's possession and apparently was originally written and compiled by James W. Lattomus. Copies are with the D.A.R. Library, Washington, D.C., and Roger Bartlett, Austin, Tex., and can be viewed at http://www.rabgenealogy.com/ui53.htm. The notes contain some inconsistencies, and page 45 was missing from the D.A.R. Library copy when it was copied. [S1379] The News Journal, Wilmington, Del., above, 24 Jun 1989, p. 9, cols. 1-2 (obituary for Louise Lee Nowland). [S1] Ruth Bennett, Naudain Family of Delaware, above, p. 64 (first bullet). [S1379] The News Journal, Wilmington, Del., above, 24 Jun 1989, p. 9, cols. 1-2 (obituary for Louise Lee Nowland) (second bullet). [S1379] The News Journal, Wilmington, Del., above, 24 Jun 1989, p. 9, cols. 1-2 (obituary for Louise Lee Nowland) (third bullet). • A Wikipedia article about Lawrenceville School is here. [S1] Ruth Bennett, Naudain Family of Delaware (Geneva, Neb. : n.pub., 1941), p. 64 (naming Otho Nowland as his father). This material is a typescript of "notes" in Ms. Bennett's possession and apparently was originally written and compiled by James W. Lattomus. Copies are with the D.A.R. Library, Washington, D.C., and Roger Bartlett, Austin, Tex., and can be viewed at http://www.rabgenealogy.com/ui53.htm. The notes contain some inconsistencies, and page 45 was missing from the D.A.R. Library copy when it was copied. [S1441] Wilmington Morning News, Wilmington, Del., online at http://www.newspapers.com, 30 Oct 1951, p. 4, col. 1 (obituary for Otho Nowland) (naming Otho Nowland as his father). [S1441] Wilmington Morning News, Wilmington, Del., above, 6 Feb 1987, p. 5, cols. 5-6 (obituary for Paul Jennings Nowland) (not giving the date but stating that he was ninety-two years old when he died on 3 Feb 1987). [S1379] The News Journal, Wilmington, Del., online at http://www.newspapers.com, 24 Jun 1989, p. 9, cols. 1-2. [S1] Ruth Bennett, Naudain Family of Delaware, above, p. 64. [S1441] Wilmington Morning News, Wilmington, Del., above, 6 Feb 1987, p. 5, cols. 5-6 (obituary for Paul Jennings Nowland). Note*: • He began working at age fourteen after being educated in a local school and for a few months by a private teacher in Wilmington, Delaware. He got his first job in banking at age 22 and the rest of his long career was connected with banking institutions in Wilmington. In 1887 he founded the Wilmington Clearing House Association. [S1441] Wilmington Morning News, Wilmington, Del., online at http://www.newspapers.com, 30 Oct 1951, p. 4, col. 1 (obituary for Otho Nowland). [S961] Find A Grave, online at http://www.findagrave.com, memorial for Otho Nowland, memorial no. 73643693, viewed on 8 Aug 2018 (giving the date and stating that he was born in Maryland without giving further information about the place). [S1441] Wilmington Morning News, Wilmington, Del., above, 30 Oct 1951, p. 4, col. 1 (obituary for Otho Nowland) (spelling her name as Lathrop). [S961] Find A Grave, online, above, memorial for Lottie Lothrop Jennings Nowland, memorial no. 73643739, viewed on 8 Aug 2018. [S961] Find A Grave, online, above, memorial for Otho Nowland, memorial no. 73643693, viewed on 8 Aug 2018. [S1441] Wilmington Morning News, Wilmington, Del., above, 21 Aug 1936, p. 2, col. 1 (obituary for Mrs. Lottie Jennings Nowland). [S1441] Wilmington Morning News, Wilmington, Del., above, 30 Oct 1951, p. 4, col. 1 (obituary for Otho Nowland) (stating that he died at 7:30 a.m.). [S1441] Wilmington Morning News, Wilmington, Del., above, 30 Oct 1951, p. 4, col. 1 (obituary for Otho Nowland) (both bullets). [S1441] Wilmington Morning News, Wilmington, Del., above, 30 Oct 1951, p. 4, col. 1 (obituary for Otho Nowland) (naming Otho Nowland as his father). [S961] Find A Grave, online at http://www.findagrave.com, memorial for Dr. George M. Dove, memorial no. 80484357, viewed on 28 Jan 2018. [S961] Find A Grave, online, above, memorial for Sarah Ann Bean Dove, memorial no. 80484495, viewed on 28 Jan 2018. [S1] Ruth Bennett, Naudain Family of Delaware (Geneva, Neb. : n.pub., 1941), p. 64 (stating that he was "Dr. Love, of Washington")). This material is a typescript of "notes" in Ms. Bennett's possession and apparently was originally written and compiled by James W. Lattomus. Copies are with the D.A.R. Library, Washington, D.C., and Roger Bartlett, Austin, Tex., and can be viewed at http://www.rabgenealogy.com/ui53.htm. The notes contain some inconsistencies, and page 45 was missing from the D.A.R. Library copy when it was copied. [S1404] "Daniel Corbit Bible," typescript included in "Historical Society of Pennsylvania Family Collection, vol. 0116," online at http://www.familysearch.org (naming Dr. G. M. Dove as her father). Other Names*: Sarah Corbit, Sarah Clark Corbit Curtis, Sarah Corbit Curtis, Sarah Clark Curtis, Sarah Curtis, Sara Corbit, Sara Clark Corbit Curtis, Sara Corbit Curtis, Sara Clark Curtis, Sara Curtis. [S1] Ruth Bennett, Naudain Family of Delaware (Geneva, Neb. : n.pub., 1941), p. 64 (spelling her name as Sara). This material is a typescript of "notes" in Ms. Bennett's possession and apparently was originally written and compiled by James W. Lattomus. Copies are with the D.A.R. Library, Washington, D.C., and Roger Bartlett, Austin, Tex., and can be viewed at http://www.rabgenealogy.com/ui53.htm. The notes contain some inconsistencies, and page 45 was missing from the D.A.R. Library copy when it was copied. [S1404] "Daniel Corbit Bible," typescript included in "Historical Society of Pennsylvania Family Collection, vol. 0116," online at http://www.familysearch.org (naming D. W. Corbit as her father). [S1404] "Daniel Corbit Bible," above (naming M. C. H. Corbit as her mother). Birth*: She was born in May 1838. Marriage*: She married Dr. John Wilson Robie. Death*: She died in April 1873 at age 34. Other Names*: Ellen Naudain, Ellen Savage Naudain Wilson, Ellen Naudain Wilson, Ellen Savage Wilson, Ellen Wilson. [S1443] Boston Evening Globe, Boston, Mass., online at http://www.newspapers.com, 21 Jan 1953, p. 28, col. 5 (death notice for Amy Robie) (naming Ellen Naudain as her mother). Marriage*: He married Ellen Savage Naudain, daughter of Dr. Andrew Naudain and Virginia Chambers. [S1444] New-York Tribune, New York, N.Y., online at http://www.newspapers.com, 17 Apr 1908, p. 7, col. 2 (obituary for Dr. John Wilson Robie) (not giving the date but stating that he was "aged seventy-one years" when he died on 16 Apr 1908). [S1444] New-York Tribune, New York, N.Y., above, 17 Apr 1908, p. 7, col. 2 (obituary for Dr. John Wilson Robie). [S1444] New-York Tribune, New York, N.Y., above, 17 Apr 1908, p. 7, col. 2. [S1443] Boston Evening Globe, Boston, Mass., online at http://www.newspapers.com, 21 Jan 1953, p. 28, col. 5 (death notice for Amy Robie) (naming John Wilson Robie as her father). "Harriet D. Naudain Gave Property to Relatives and Charity. "Mineola, L. I., February 14 —An estate valued at $35,000 is disposed of in the will filed in the Surrogate’s Court here yesterday of Harriet D. Naudain, who died at Garden City on January 27 last. Two cousins, Letitia Potts of Germantown, Pa., and Elizabeth N. Ellis of Westchester, receive $300 and $200 respectively. The will provides that Harriet Platt is to receive an income of $300 annually. Five hundred dollars apiece is willed to the Board of Foreign Missions of the Presbyterian Church and to the Board of Home Missions of the same church. [S1] Ruth Bennett, Naudain Family of Delaware (Geneva, Neb. : n.pub., 1941), p. 64 (naming Andrew Naudain as her father). This material is a typescript of "notes" in Ms. Bennett's possession and apparently was originally written and compiled by James W. Lattomus. Copies are with the D.A.R. Library, Washington, D.C., and Roger Bartlett, Austin, Tex., and can be viewed at http://www.rabgenealogy.com/ui53.htm. The notes contain some inconsistencies, and page 45 was missing from the D.A.R. Library copy when it was copied. [S1] Ruth Bennett, Naudain Family of Delaware, above, p. 64 (naming Virginia Chambers as her mother). [S1289] The Brooklyn Daily Eagle, Brooklyn, N.Y., online archive at http://newsstand.bklynpubliclibrary.org, 14 Feb 1917, p. 12, col. 5 ("Left Estate of $35,000"). [S1] Ruth Bennett, Naudain Family of Delaware, above, p. 64 (stating that she died in Jan 1917 without giving further information). [S1289] The Brooklyn Daily Eagle, Brooklyn, N.Y., online archive, above, 14 Feb 1917, p. 12, col. 5. Birth*: He was born in February 1844. Death*: He died in January 1867 at age 22. Birth*: He was born on 20 November 1824 in New Castle County, Delaware. Death*: He died on 11 March 1829 in New Castle County, Delaware, at age 4. [S1] Ruth Bennett, Naudain Family of Delaware (Geneva, Neb. : n.pub., 1941), pp. 65-66. This material is a typescript of "notes" in Ms. Bennett's possession and apparently was originally written and compiled by James W. Lattomus. Copies are with the D.A.R. Library, Washington, D.C., and Roger Bartlett, Austin, Tex., and can be viewed at http://www.rabgenealogy.com/ui53.htm. The notes contain some inconsistencies, and page 45 was missing from the D.A.R. Library copy when it was copied. Birth*: He was born on 1 July 1830 in New Castle County, Delaware. Death*: He died on 3 August 1833 in New Castle County, Delaware, at age 3. Birth*: He was born on 15 December 1831 in New Castle County, Delaware. Death*: He died on 23 January 1832 in New Castle County, Delaware. Birth*: He was born on 29 March 1833 in New Castle County, Delaware. Death*: He died on 20 February 1842 in Highland County, Ohio, at age 8. Other Names*: Malinda Acklin Naudain, Malinda Naudain. [S1] Ruth Bennett, Naudain Family of Delaware (Geneva, Neb. : n.pub., 1941), pp. 65, 81. This material is a typescript of "notes" in Ms. Bennett's possession and apparently was originally written and compiled by James W. Lattomus. Copies are with the D.A.R. Library, Washington, D.C., and Roger Bartlett, Austin, Tex., and can be viewed at http://www.rabgenealogy.com/ui53.htm. The notes contain some inconsistencies, and page 45 was missing from the D.A.R. Library copy when it was copied. [S961] Find A Grave, online at http://www.findagrave.com, memorial for Melinda Naudain, memorial no. 96012481, viewed on 7 Aug 2016 (not giving the date but stating that she was 23 years, 5 months, and 29 days old when she died on 20 Jan 1862). [S961] Find A Grave, online, above, memorial for Melinda Naudain, memorial no. 96012481, viewed on 7 Aug 2016. [S1338] The Algona Upper Des Moines, Algona, Iowa, online at http://www.newspapers.com, 21 Dec 1939, p. 1, col. 1 (obituary of William Eliason Naudain) (naming Malinda Acklin as his mother). Marriage*: She married Thomas Nelson Naudain, son of Elias Naudain and Martha Eliason, on 1 June 1880. Other Names*: Mary Calloway Naudain, Mary Callaway Naudain, Mary Naudain. [S1] Ruth Bennett, Naudain Family of Delaware (Geneva, Neb. : n.pub., 1941), pp. 65, 83. This material is a typescript of "notes" in Ms. Bennett's possession and apparently was originally written and compiled by James W. Lattomus. Copies are with the D.A.R. Library, Washington, D.C., and Roger Bartlett, Austin, Tex., and can be viewed at http://www.rabgenealogy.com/ui53.htm. The notes contain some inconsistencies, and page 45 was missing from the D.A.R. Library copy when it was copied. [S1499] Morning Appeal, Carson City, Nev., online at https://www.newspapers.com, 18 Feb 1904, p. 1, col. 3. Birth*: She was born on 7 March 1844 in Highland County, Ohio (near Hillsboro). Death*: She died on 18 August 1852 at age 8. Note*: • Her parents died when she was a very small child, and from then until her marriage she lived with relatives. [S1] Ruth Bennett, Naudain Family of Delaware (Geneva, Neb. : n.pub., 1941), pp. 65, 79, 84. This material is a typescript of "notes" in Ms. Bennett's possession and apparently was originally written and compiled by James W. Lattomus. Copies are with the D.A.R. Library, Washington, D.C., and Roger Bartlett, Austin, Tex., and can be viewed at http://www.rabgenealogy.com/ui53.htm. The notes contain some inconsistencies, and page 45 was missing from the D.A.R. Library copy when it was copied. [S1350] Denton Journal, Denton, Md., online at http://www.newspapers.com, 26 Jun 1897, p. 3, col. 2 (obituary of Mrs. Ida Naudain) (naming James M. Naudain as her father). [S961] Find A Grave, online at http://www.findagrave.com, memorial for Ida Naudain, memorial no. 133981984, viewed on 29 Jun 2016. [S1350] Denton Journal, Denton, Md., above, 26 Jun 1897, p. 3, col. 2 (obituary of Mrs. Ida Naudain) (naming Corbit E. Naudain as her husband). [S1359] The Times, Philadelphia, Pa., online at http://www.newspapers.com, 5 Jun 1891, p. 5, col. 3. [S961] Find A Grave, online, above, memorial for Ida Naudain, memorial no. 133981984, viewed on 29 Jun 2016 (giving the date but not the place). [S1350] Denton Journal, Denton, Md., above, 26 Jun 1897, p. 3, col. 2 (obituary of Mrs. Ida Naudain) (stating that she died after a lingering illness of several months). [S961] Find A Grave, online, above, memorial for Ida Naudain, memorial no. 133981984, viewed on 29 Jun 2016 (giving the place but not the date). [S1350] Denton Journal, Denton, Md., above, 26 Jun 1897, p. 3, col. 2 (obituary of Mrs. Ida Naudain) (not naming the place but giving the date of her funeral, which presumably was the date of interment). [S1350] Denton Journal, Denton, Md., above, 6 Jun 1891, p. 3, col. 4. [S1350] Denton Journal, Denton, Md., above, 26 Jun 1897, p. 3, col. 2. [S1350] Denton Journal, Denton, Md., above, 26 Jun 1897, p. 3, col. 2 (obituary of Mrs. Ida Naudain) (second bullet). [S1] Ruth Bennett, Naudain Family of Delaware (Geneva, Neb. : n.pub., 1941), pp. 65, 84. This material is a typescript of "notes" in Ms. Bennett's possession and apparently was originally written and compiled by James W. Lattomus. Copies are with the D.A.R. Library, Washington, D.C., and Roger Bartlett, Austin, Tex., and can be viewed at http://www.rabgenealogy.com/ui53.htm. The notes contain some inconsistencies, and page 45 was missing from the D.A.R. Library copy when it was copied. [S1428] The Philadelphia Inquirer, Philadelphia, Pa., online at http://www.genealogybank.com, 26 Sep 1902, p. 2, col. 7. [S961] Find A Grave, online at http://www.findagrave.com, memorial for Caroline Hutton Naudain, memorial no. 133981993, viewed on 29 Jun 2016. Birth*: He was born on 23 January 1849 in Highland County, Ohio (near Hillsboro). Death*: He died on 25 January 1849 in Highland County, Ohio (near Hillsboro). Marriage*: He married Mary Davis. Note*: He and his wife were from near Noxontown, New Castle County, Delaware. [S1] Ruth Bennett, Naudain Family of Delaware (Geneva, Neb. : n.pub., 1941), p. 65. This material is a typescript of "notes" in Ms. Bennett's possession and apparently was originally written and compiled by James W. Lattomus. Copies are with the D.A.R. Library, Washington, D.C., and Roger Bartlett, Austin, Tex., and can be viewed at http://www.rabgenealogy.com/ui53.htm. The notes contain some inconsistencies, and page 45 was missing from the D.A.R. Library copy when it was copied. Marriage*: She married John Eliason. Other Names*: Florence Gage Naudain, Florence Naudain. [S1] Ruth Bennett, Naudain Family of Delaware (Geneva, Neb. : n.pub., 1941), pp. 67 (giving her name as Florence A. Gage), 87. This material is a typescript of "notes" in Ms. Bennett's possession and apparently was originally written and compiled by James W. Lattomus. Copies are with the D.A.R. Library, Washington, D.C., and Roger Bartlett, Austin, Tex., and can be viewed at http://www.rabgenealogy.com/ui53.htm. The notes contain some inconsistencies, and page 45 was missing from the D.A.R. Library copy when it was copied. [S961] Find A Grave, online at http://www.findagrave.com, memorial for Florence Gage Naudain, memorial no. 125846410, viewed on 2 Jul 2016. [S1] Ruth Bennett, Naudain Family of Delaware, above, p. 87 (giving the date but not the place). [S961] Find A Grave, online, above, memorial for Florence Gage Naudain, memorial no. 125846410, viewed on 2 Jul 2016 (not giving the date or place). [S1506] The Chicago Daily Tribune, Chicago, Ill., online, above, 4 Jan 1874, p. 11, col. 5 (under "Marriages") (giving her name as Florence A. Gage and his as Harry Naudain and stating that they were married on 21 Dec 1873 in Elgin, Illinios). [S1] Ruth Bennett, Naudain Family of Delaware, above, p. 87 (naming Florence J. Gage as her mother). [S1] Ruth Bennett, Naudain Family of Delaware, above, p. 87 (naming Florence J. Gage as his mother). [S1349] Saint Louis Post-Dispatch, Saint Louis, Mo., online at http://www.newspapers.com, 21 Oct 1892, p. 6, col. 5 (naming Florence Naudain as his mother). [S1] Ruth Bennett, Naudain Family of Delaware (Geneva, Neb. : n.pub., 1941), p. 67 [giving 4 Feb 1856 as his birth date]. This material is a typescript of "notes" in Ms. Bennett's possession and apparently was originally written and compiled by James W. Lattomus. Copies are with the D.A.R. Library, Washington, D.C., and Roger Bartlett, Austin, Tex., and can be viewed at http://www.rabgenealogy.com/ui53.htm. The notes contain some inconsistencies, and page 45 was missing from the D.A.R. Library copy when it was copied. [S1] Ruth Bennett, Naudain Family of Delaware, above, p. 87. [S1] Ruth Bennett, Naudain Family of Delaware, above, pp. 67 (giving 4 Feb 1856 as his birth date), 87 (giving 4 Feb 1855 as his birth date and providing biographical information). [S1] Ruth Bennett, Naudain Family of Delaware, above, pp. 87 (naming Jacob Vandegrift Naudain as his father), 99 (naming Jacob V. Naudain as his father). [S1] Ruth Bennett, Naudain Family of Delaware (Geneva, Neb. : n.pub., 1941), p. 87 (naming Andrew J. Day as her father). This material is a typescript of "notes" in Ms. Bennett's possession and apparently was originally written and compiled by James W. Lattomus. Copies are with the D.A.R. Library, Washington, D.C., and Roger Bartlett, Austin, Tex., and can be viewed at http://www.rabgenealogy.com/ui53.htm. The notes contain some inconsistencies, and page 45 was missing from the D.A.R. Library copy when it was copied. [S1] Ruth Bennett, Naudain Family of Delaware, above, p. 87 (naming Sarah _____ as her mother). [S1] Ruth Bennett, Naudain Family of Delaware, above, p. 87 (naming Rebecca Day as his mother). Birth*: He was born on 6 March 1858. Marriage*: He married Mary Freeman in June 1896. Death*: He died in 1904. [S1] Ruth Bennett, Naudain Family of Delaware (Geneva, Neb. : n.pub., 1941), p. 67. This material is a typescript of "notes" in Ms. Bennett's possession and apparently was originally written and compiled by James W. Lattomus. Copies are with the D.A.R. Library, Washington, D.C., and Roger Bartlett, Austin, Tex., and can be viewed at http://www.rabgenealogy.com/ui53.htm. The notes contain some inconsistencies, and page 45 was missing from the D.A.R. Library copy when it was copied. Marriage*: She married George Naudain, son of George Washington Naudain and Estalena Craig, in June 1896. [S961] Find A Grave, online at http://www.findagrave.com, memorial for William Naudain, memorial no. 96373285, viewed on 3 Jul 2016. [S961] Find A Grave, online, above, memorial for William Naudain, memorial no. 96373285, viewed on 3 Jul 2016 (not giving the date or place). [S961] Find A Grave, online, above, memorial for Laura J. Tichenor Naudain, memorial no. 96373284, viewed on 3 Jul 2016 (not giving the date or place). [S1340] The Morning News, Wilmington, Del., online at http://www.newspapers.com, 20 Jul 1920, p. 3, col. 3 (spelling her surname as Tichener). 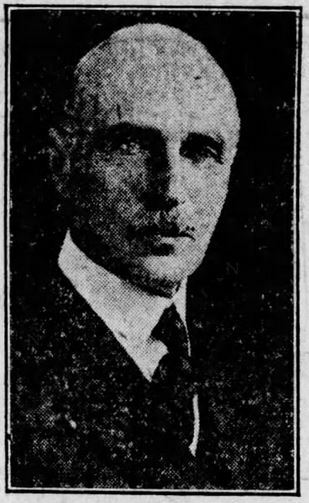 [S1349] Saint Louis Post-Dispatch, Saint Louis, Mo., online at http://www.newspapers.com, 26 Jan 1936, p. 20, col. 6 (obituary of William H. Naudain) (stating that he died "suddenly" at 7:45 a.m.; not naming the place). [S1361] Saint Louis Star and Times, Saint Louis, Mo., online at http://www.newspapers.com, 27 Jan 1936, p. 18, col. 7 (funeral notice for William H. Naudain). [S961] Find A Grave, online, above, memorial for William Naudain, memorial no. 96373285, viewed on 3 Jul 2016 (not giving the date). [S1349] Saint Louis Post-Dispatch, Saint Louis, Mo., above, 26 Jan 1936, p. 20, col. 6 (obituary of William H. Naudain). [S1340] The Morning News, Wilmington, Del., above, 20 Jul 1920, p. 3, col. 3. [S1361] Saint Louis Star and Times, Saint Louis, Mo., above, 25 Jan 1936, p. 4, col. 6 (misstating his age as 70 when in fact he was 75). Birth*: She was born in 1863. Other Names*: Ruth Naudain Foard, Ruth Foard, Ruth Naudain Ford, Ruth Ford. [S1] Ruth Bennett, Naudain Family of Delaware, above, p. 67 (spelling his surname as Ford and giving the year but no other information). [S1508] Cecil Whig, Elkton, Md., online at https://www.newspaperarchive.com, 4 Dec 1909, p. 1, col. 3 (under “Weddings”). [S1] Ruth Bennett, Naudain Family of Delaware (Geneva, Neb. : n.pub., 1941), p. 67 (spelling his surname as Ford and giving the year but no other information). This material is a typescript of "notes" in Ms. Bennett's possession and apparently was originally written and compiled by James W. Lattomus. Copies are with the D.A.R. Library, Washington, D.C., and Roger Bartlett, Austin, Tex., and can be viewed at http://www.rabgenealogy.com/ui53.htm. The notes contain some inconsistencies, and page 45 was missing from the D.A.R. Library copy when it was copied. Birth*: She was born on 19 November 1843. Marriage*: She married William Shockley on 11 October 1870. [S1] Ruth Bennett, Naudain Family of Delaware (Geneva, Neb. : n.pub., 1941), p. 68. This material is a typescript of "notes" in Ms. Bennett's possession and apparently was originally written and compiled by James W. Lattomus. Copies are with the D.A.R. Library, Washington, D.C., and Roger Bartlett, Austin, Tex., and can be viewed at http://www.rabgenealogy.com/ui53.htm. The notes contain some inconsistencies, and page 45 was missing from the D.A.R. Library copy when it was copied. Marriage*: He married Emma E. Stevenson, daughter of Samuel Stevenson and Catharine R. Naudain, on 11 October 1870. Birth*: She was born on 21 April 1846. Marriage*: She married George W. Erskine in September 1869. Death*: She died on 7 January 1872 at age 25. Marriage*: He married Adalaide Stevenson, daughter of Samuel Stevenson and Catharine R. Naudain, in September 1869. Birth*: She was born circa 1850. Note*: She died in infancy. Birth*: She was born on 19 September 1855. Death*: She died in February 1864 at age 8. Death*: He died in 1860. Birth*: He was born in 1860. Note*: He lived only two days. Birth*: He was born on 7 October 1825. Marriage*: He married Mary Jane Weldon on 13 October 1860. Death*: He died on 15 February 1887 at age 61. Marriage*: She married Sewell Mannering, son of James Mannering and Hester Naudain, on 13 October 1860. Marriage*: She married Rayworth Weldon. Birth*: She was born on 30 November 1827.